Riot Shields- Paintball Equipment for the true Paintball Warrior. The right paintball equipment can mean the difference between a victory or defeat. If your team wants to form an unbreakable defence against the enemy, you’re going to need a shield. Delta Force has your back. Our police-issued ballistic riot shields are the ultimate defence in a skirmish. Using only authentic ballistic riot shields, your team can create a barrier that will see you advance with minimum risk, and maximum capacity for victory. Our riot shields are available at all of our paintball centres. We offer these paintball riot shields as an upgrade for no extra charge! Victory has never been easier! You and your team can link your shields together to create a phalanx of paintball warriors, ready for any challenge the other team throws at you! Dominate the opposition with your defensive skills, aided by the best quality riot shields in the market. These shields are genuine police issue, and are easy to use. These shields are made from reinforced plastic, ensuring that they are lightweight and can be carried around in battle. Because of the ergonomically designed handles, and with the lightweight material, you can use this shield for the duration of the day, with no pain! 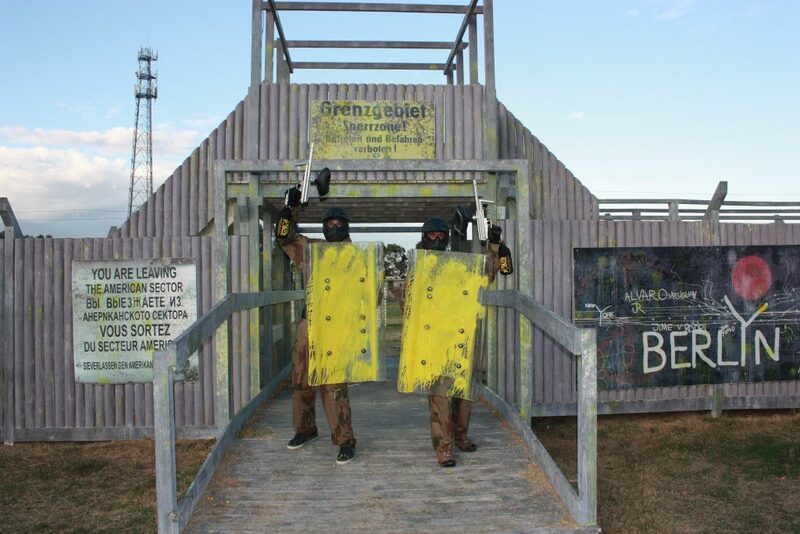 If you want to try something different on your next epic day of paintball, try one of our ballistic riot shields. You will force the opposition to think on their feet, developing new strategies to overcome your strong defences.